$289.99 This may be in stock for quick delivery; please call! 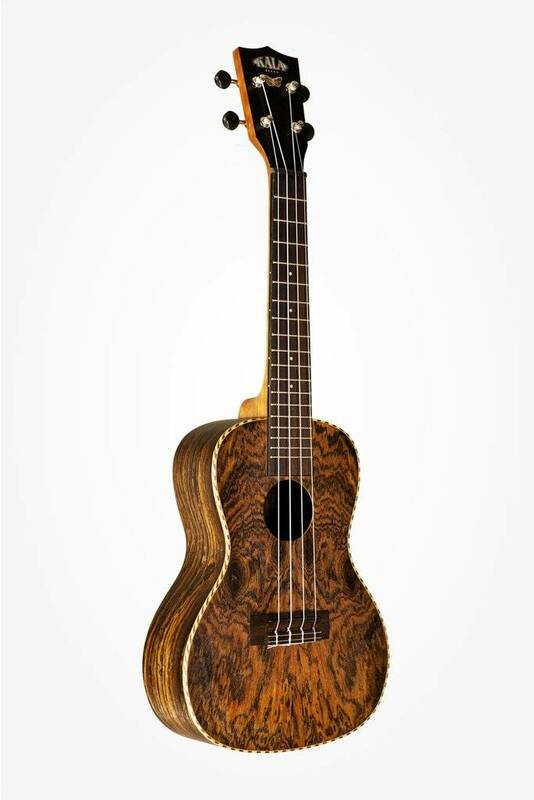 The Butterfly Ukulele features Bocote, a highly figured wood found in Mexico. 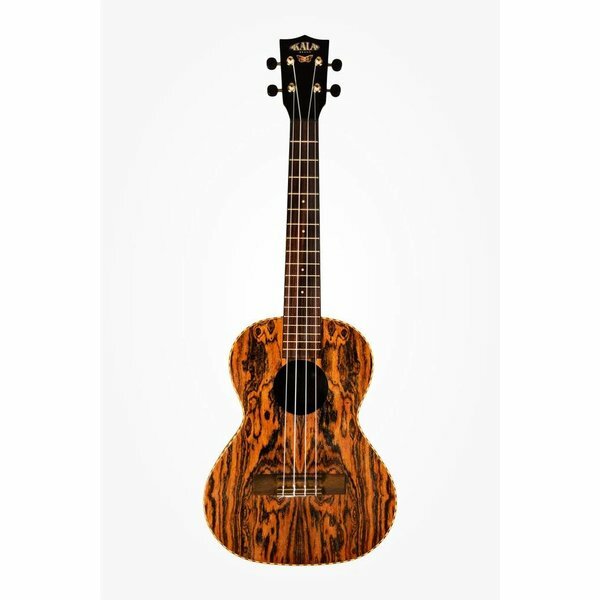 They feature arched backs which give the ukes a very potent, punchy sound with warm overtones. 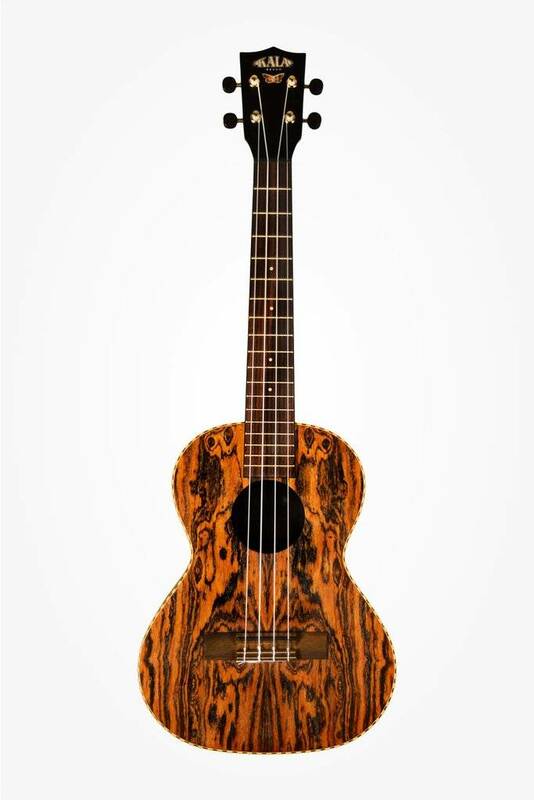 Now a staple in the exotic dark wood category, The Butterfly Ukulele features Bocote, a highly figured wood found in Mexico. It highlights broad, sweeping grain patterns of light and dark brown. They feature arched backs which give the ukes a very potent, punchy sound with warm overtones. 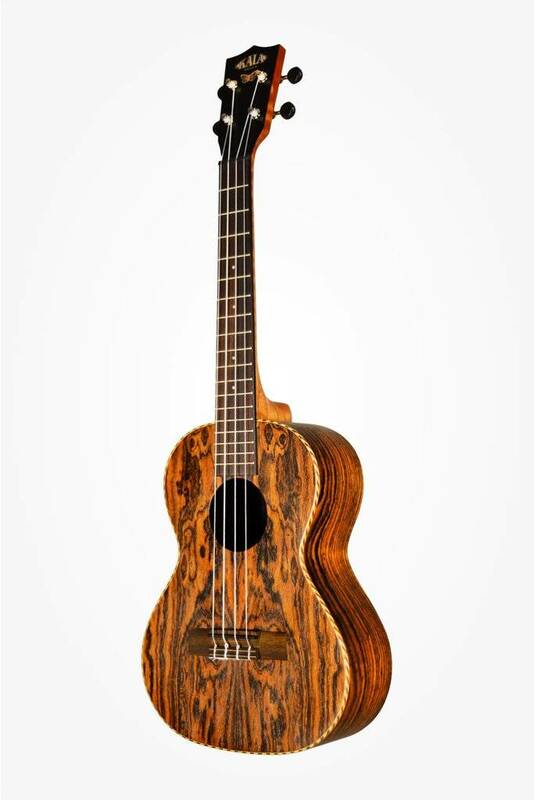 The body is trimmed with traditional Maple/Rosewood rope binding and custom beveled Spruce binding on the back. 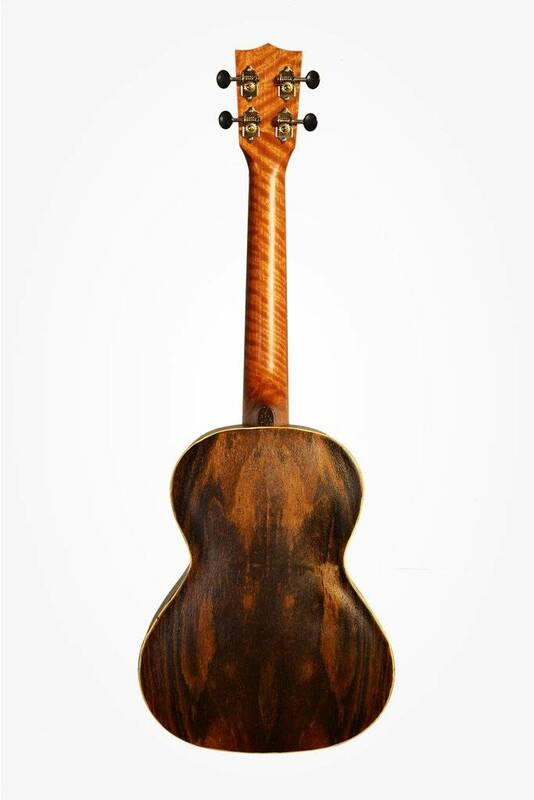 A beautiful wood "Butterfly" inlay adorns the headstock top which has been stained a dark brown. All models have high-quality tuners, Graphtech black NUBONE nuts and saddles and are strung with Aquila strings. Available in Soprano, Concert and Tenor.